Last updated October 25th, 2018. Malaysia straddles the busiest shipping lane in the entire world, the Strait of Malacca. This has allowed its economy to perform well based simply on where it’s located on the map. “Location, location, location” is true anywhere in the world. Malaysia property abides by that rule on a country-wide level. Combine this with capital flight from the Middle East, notable oil reserves, business-friendly policies, and the strongest Islamic Banking industry in the world. Malaysia is no doubt one of Asia’s best places to invest. However, Malaysia remains overlooked for some reason. It’s never gotten the attention of neighboring Thailand and Singapore. But this is quickly changing and property investors should take note. Investors should also note that Malaysia is practically the only country in Asia which allows foreigners to own land. We’ll cover a few of these restrictions later, yet the laws are much easier than in most other countries. Therefore, Malaysia has more options than most of Asia’s other property markets. The ability to own land not only opens several entirely different classes of investment (houses, the ability to develop, etc.) but also different cities and towns. For example, foreign buyers may only own condominium units in Thailand. This leaves them essentially blocked off from smaller cities. That’s because few, if any, condominium buildings exist in places like Khon Kaen and Nakorn Ratchasima. Property buyers in Malaysia have more cities to choose from since foreigners can own land here. You can own the typical condo unit in Kuala Lumpur, or also buy a townhouse in Johor Bahru depending on your needs. Things aren’t completely rosy for Malaysia’s property market. Rental yields are abysmal, hovering at around 3% in Kuala Lumpur and Penang. Meanwhile, occupancy rates are low throughout Malaysia. Several major cities are thought of as overdeveloped by even the locals. Yet one thing Malaysia has is population growth. The country’s population will surge from 30 million now to over 40 million by 2050. This will help absorb supply over the long term. A rising middle class will also help. Malaysia plans to be a developed nation before the year 2030. Political problems may not go away as easily as a few overdeveloped cities. Looking at the Petronas Twin Towers shows that Malaysia has a way of making the seemingly impossible happen though. Unlike almost every other country in Asia, foreigners can own houses and other landed properties in Malaysia. 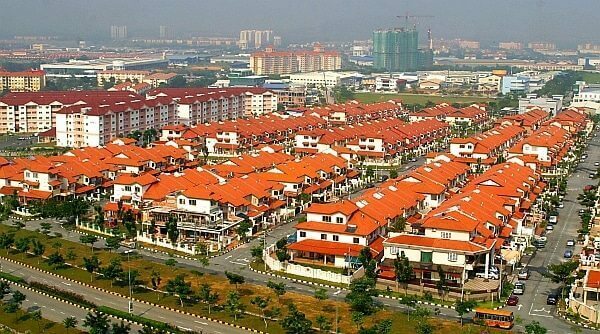 Can Foreigners Invest in Malaysia Real Estate? As the only country in Southeast Asia where foreigners can own land (at least easily and directly), you may not only just own the typical condominium unit but also houses, townhouses and land. However, it’s not quite that simple. There are a few restrictions and quirks, while land falls into several different categories. For starters, a minimum purchase requirement for foreign buyers is in effect. The purpose is to allow foreign buyers in the mid to high-end segment while not letting them drive up the value of homes in the price range of average Malaysians. Malaysia has a minimum purchase requirement is RM1 Million (about US$225,000 as of early 2017). But in the State of Selangor it’s RM2 Million and foreigners may only purchase landed properties if they’re in gated communities. This price was raised several times before with the latest update back in 2014. In addition, foreign buyers may not own land designated as “Bumiputra only” – Bumiputra meaning ethnic, Muslim Malays. They also cannot own most agricultural land or properties designated as low or medium cost housing by the state authority. Foreigners buying property in Malaysia are subject to a minimum purchase price which varies depending on the state, location, and type of real estate. Every state has a different minimum requirement while some states raise the price based on whether you’re buying a condo or landed property. Not only that, but some states have different rules depending on whether you’re taking part in the MM2H (Malaysia My Second Home Visa) program. Below is a chart showing the minimum purchase requirements for foreigners in each Malaysian state. How Much Are Property Taxes in Malaysia? High taxes are one weak point of investing in Malaysia property. Rental income tax here is a flat 20% rate for residents. This is obviously very high and taxes are even higher at 25% if you’re a non-resident in Malaysia. Real Property Gains Tax (RPGT), paid on any profit made when selling property, is also very high if you’ve held a property for less than half a decade. Capital gains tax in Malaysia is 20% if selling a property held less than 5 years. But it’s only 5% if it’s been held less than 5 years. Preventing speculation among short term buyers is the stated goal of Malaysia’s RPGT. Most countries in the region assess a similar tax except Cambodia. There’s also an annual property tax but it’s not very high at all. Expect to pay only between 1 sen (about US$0.002) and 2 sen (about US0.004) per square foot. Furthermore, you must pay an annual “quit rent” tax which is usually less than 100 Ringgit (US$25). If you’re purchasing a condo unit or belong to a landed community, they’ll likely have an annual maintenance fee as well. These vary widely based on location, facilities, density and standards but generally hover around RM4 (US$1) per square foot. Is Buying Real Estate in Malaysia Safe? Malaysia has one of Southeast Asia’s most well-documented and secure titling systems. This is the case for both land and condominium units, so you’re unlikely to have any problems from the government. Therefore, any problems or things to look out for – as is the case in almost every property market in the world – would be those coming from the development company or builder. If you’re purchasing from any reputable company you shouldn’t have any problems though. New homes and condo units always come with a warranty. The developer is required to honor warranties and build the project to the specifications in the purchase agreement. There are about twelve publicly listed developers. Being listed on the country’s stock exchange, the Bursa Malaysia, is usually a good sign that a firm has a strong reputation. Being listed means a company meet certain financial standards, capitalization requirements, and are accountable to their shareholders. They aren’t going to just run out of money halfway through the project. 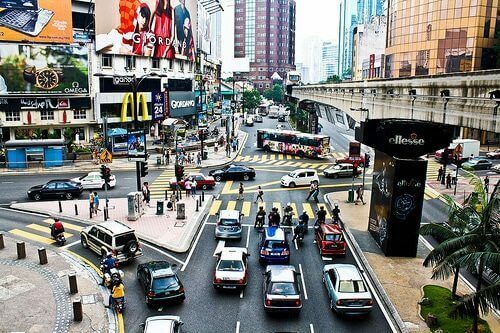 Malaysia is one of Asia’s smaller countries with a population of just around 30 million people. But the mere fact that foreigners are able to own land opens up just every Malaysian town and city for investment. That means you’ll have tons of options. Compare this to, for example, Thailand which has a larger population but where foreigners may only own condominium units. You probably won’t find many condo projects in Chiang Rai or Nakhon Nayok. Most things of any business or political importance go through Kuala Lumpur. However, plenty of midsize cities such as Penang, Kota Kinabalu, Johor Bahru, and Kuching and popular among locals, expats, and retirees alike. Kuala Lumpur is one of Asia’s most diverse and international cities. 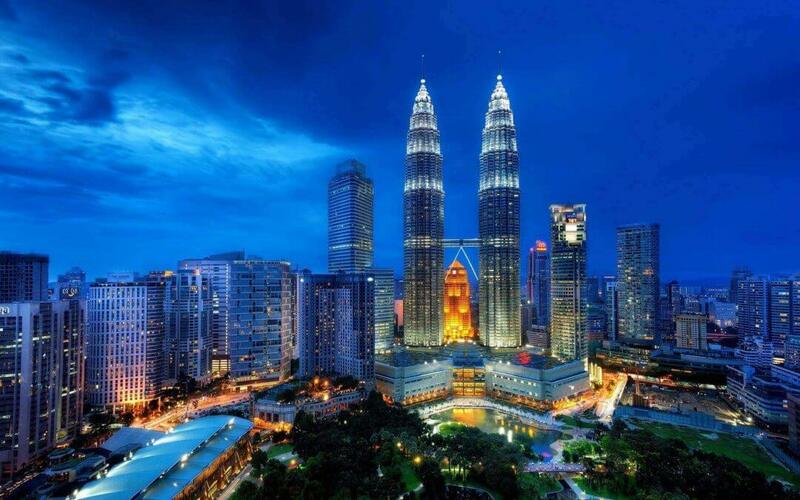 Malaysia’s capital is a sprawling city of over 7 million people in its metro area. Kuala Lumpur, or KL as the locals call it, was just a small tin mining town back in the 1800s. It has since become the world’s most important city for Islamic banking, surpassing even the likes of Dubai. It also has claim to one of Southeast Asia’s most significant oil & gas industries. KL has immense multiculturalism with Indian, Malay, Chinese and Western influences. This means tourists and investors from all over the world visit the city. It’s not uncommon to see wealthy Arabs and Mainland Chinese alike – people almost certainly bringing capital with them. Kuala Lumpur isn’t as large as Bangkok, Jakarta, or some other Asian cities. But it has several distinct neighborhoods where expats tend to buy real estate. In Kuala Lumpur’s center, the Petronas Twin Towers rise into the clouds while megamalls, condos, hotels and office buildings surround it. Malaysia’s largest city certainly has one of Asia’s best skylines. KLCC has some of Malaysia’s highest real estate values. Especially some of the branded condominium developments near Bukit Bintang and Pavilion Mall. Four Seasons, Harrods, Banyan Tree and a few more international brands have recently started building condos in KLCC. However, property prices get much lower the further away you get from Pavilion Mall, the Petronas Twin Towers, or any metro station. One of the most up-and-coming areas is around Bukit Ceylon near KL Tower. The nearest metro station is a bit far away, but it’s perched up on a hill in an otherwise central neighborhood. Home to Kuala Lumpur’s central train station, KL Sentral is a master-planned business district near the city center with hotels, condominiums, offices, and transport options abound. Perhaps most importantly, KL Sentral allows easy access to the city’s two international airports through the airport rail link. That alone makes the neighborhood popular with expats and those who travel a lot. While KL Sentral is not really in the city center, it’s nonetheless nearby. It also has easy access to the KL Monorail and property prices here are not quite as expensive as in KLCC. All three of these suburbs have several things in common, even though they’re distinct areas. Damansara, Bangsar, and Mont Kiara are all in the west suburbs of Kuala Lumpur about a 15 minute drive away from the city center. They’re all nonetheless very popular with expats because of their affluence, western amenities, good international schools, diversity of restaurants, and low crime rate. Prices are also noticeably lower per square meter in these areas than in the city center. All of these things together especially make Mont Kiara, Damansara, and Bangsar attractive for expat families. A rather distant suburb of Kuala Lumpur, Petaling Jaya isn’t as premium as nor as convenient as the last three areas. Prices are much cheaper though, so it’s easier to afford large houses suitable for those needing lots of space. Even if you’re now living in suburbia and will probably need a car. That doesn’t mean there’s nothing to do in Petaling Jaya. Some of the city’s largest malls, best restaurants, and greatest theme parks are out this direction. Many companies are also based here, making it preferable for certain expats to live in the neighborhood. However, you’re still trading away convenience for lower prices. Everything is spread out and some people even have concerns about safety and home break-ins in Petaling Jaya. If you’re one of them, there are still condos in Petaling Jaya to choose from rather than the typical suburban, terraced house. Rental yields for condos in Malaysia are higher anyway. Malaysia’s second largest city is also popular with expats and retirees alike – although probably more of the latter due to the island’s beaches and relaxed atmosphere. Penang’s most expensive properties are on the island’s eastern side near Georgetown, specifically the oceanfront condos on Gurney Drive. The street has been called “Millionaire’s Row” because of the pricey condos and large malls lining it. More recently, condos and houses along the island’s north and northeastern sides have become popular with expats. These locations, including Batu Feringghi, Tanjung Bungah, and Tanjung Tokong, aren’t as central. Yet they boast great international schools and a beachfront atmosphere. Penang’s south and middle are also seeing development. Prices aren’t as expensive in these areas which include Banyan Bayu, Gelugor, and Jelutong. But completion of a second bridge (with a third one planned) means easy access to the mainland. Southern neighborhoods, especially Banyan Bayu, are perhaps the best for investing in Penang real estate. Most of the island’s factories are in these areas too. Combine that with rapid urbanization, and Penang’s suburbs are worth looking at for a long-term, appreciation-based investment. Learn the best places to invest – and where to avoid – by downloading our free Investment Cheat Sheet. Johor Bahru and its Iskandar project have an impressive master plan. Will it ever actually happen though? Johor Bahru lies just across the strait from Singapore and is now going through development on a massive scale. 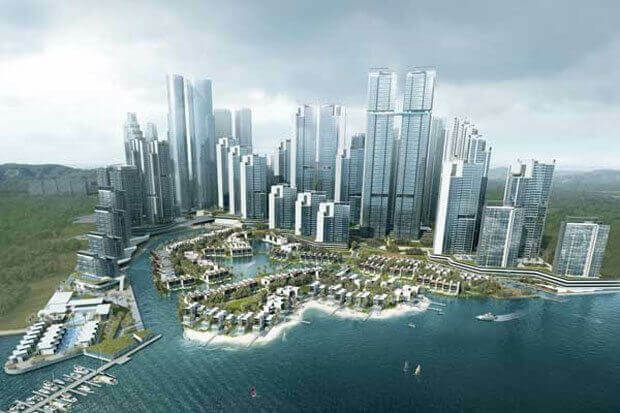 A new megacity called Iskandar is rising around Johor Bahru and being pitched to wealthy investors as Malaysia’s very own Shenzhen. Indeed, Johor Bahru does share similarities with Shenzhen. Like its Chinese counterpart next to Hong Kong, Johor Bahru’s location within driving distance of Singapore puts it at a unique advantage. There’s potential for the two cities, Singapore and Johor Bahru, to eventually form a mutually-exclusive relationship. Malaysia’s low-cost labor and manufacturing capability, along with Singapore’s capital and innovation, can combine to benefit both nations. Here’s the only problem: Iskandar is way overpriced and even more overbuilt. Everything from amusement parks, to universities, to offices and (of course) residential property are popping up. Rich Chinese and Singaporeans are lured into purchasing real estate for all of the reasons stated above. For all the potential it has, Johor Bahru doesn’t have any major industry to speak of though. Occupancy rates are abysmal and few people seem willing to actually move to the city full-time and start businesses. While wealthy Chinese looking to store their cash might purchase properties, all of the other things which make an economy (population, jobs, tourism, etc.) won’t arrive just because a city is built. Few people seem to realize this, and for that reason, I can’t recommend buying Johor Bahru property in good faith. At least not for now. Kuching and Kota Kinabalu are two very different cities which are more than 1,000 kilometers apart from each other. But from an investment perspective, they both share very similar traits. Unlike all the other places on this list, these two cities are in East Malaysia in the states of Sabah and Sarawak. This location puts them off the beaten track for most people. Kuala Lumpur, being the capital, is popular for obvious reasons. Penang is Malaysia’s second largest city and Johor Bahru is right next to Singapore. In contrast, Kuching and Kota Kinabalu not considered by many investors. This should change very soon, as these two cities are among Malaysia’s fastest growing. Tourist arrivals are increasing, manufacturing and oil exports (the mainstays of East Malaysia’s economy) are rising once more, and the future looks bright. Kota Kinabalu and Kuching are both medium-sized cities with a population of around 300,000 each. Over time, urbanization should drive the value of prime, centrally-located properties higher. Malaysia’s property market is easier to navigate as an expat than most other countries in Asia. The fact that English is widely spoken can be thanked for this, and online real estate portals such as PropertyGuru also help. Perhaps because of this accessibility, the locals use property agents as well. This is in contrast to, for example, Thailand and Cambodia where agents basically exist just to take a commission while acting as a translator for clueless foreigners. The standard agency fee in Malaysia is 2% payable by the seller. However, this amount varies between 1% and 3%, being on the higher end in Kuala Lumpur and the state of Selangor. Normally, an agent will keep half the commission himself and pay the other half to his company. Real estate investors in Malaysia are able to get long-term visas for themselves and their families through the Malaysia My Second Home (MM2H) program. Those who meet the requirements can get 10-year, multiple entry visas which are renewable indefinitely. The visa is effectively permanent residency, but there are a few differences. Most notably, you cannot work unless you’re aged 50 or above – then you can work for up to 20 hours per week. MM2H requirements vary based on age, and the government seems to prefer older retirees. Unless you are above the age of 50 and earning a pension of at least RM10,000 per month, the requirements are as follows. Must have bought a property for at least RM1,000,000. Need to show evidence of ownership and full payment of the property. Must have been purchased within 5 years of application for MM2H visa. Will have to place a Fixed Deposit in a bank account in Malaysia of RM150,000 if under 50, and RM100,000 if over 50. It should be noted that the fixed deposit does not have to be placed until after the applicant has received a letter of conditional approval. This letter sets out the steps that have to be completed before the visa is issued. These steps usually consists of placing the Fixed Deposit, having a medical examination in Malaysia and obtaining medical insurance for Malaysia. Once these steps are completed the visa can be collected from the Immigration Department in Putrajaya. Is Buying Malaysia Property a Good Investment? Malaysia, while often overlooked among the likes of Thailand and Singapore, has one of Asia’s most business friendly, unique, and deregulated property markets. Yields are low (and will probably remain so in the foreseeable future) and taxes are high – yet the potential for appreciation is even higher. The Ringgit is now at multi-decade lows, meaning its inevitable rise will have a multiplying effect on any returns. Not only that, but prices per square metre are some of Asia’s lowest, despite the fact that Malaysia is more developed than most of its neighbors. Prices in KL, for example, are even lower than in Manila or Ho Chi Minh City. Furthermore, population growth combined with urbanization should drive prices up in the city’s center. Don’t expect quick profits with Malaysia real estate. However, the ability to own land combined with excellent potential for price increases makes Malaysia one of Asia’s best places to buy real estate. Reid Kirchenbauer is the Founder of InvestAsian. He's an international stock trader and property investor based in Thailand, Cambodia, and several other places. 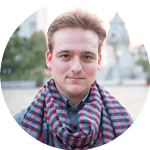 Reid manages the world's first and only frontier market real estate fund and has been featured in publications such as Forbes, Property Report, the South China Morning Post, and Seeking Alpha. You can download his free investment guide by clicking here. Top Asian Currencies: What Are the Strongest? Want to start buying property in Asia? My free investment sheet can help you out. It ranks fifteen different nations by growth, ease of doing business, and other factors. You can download it right here.